ALG Residual Value Awards. Only 34,573 Miles! Scores 37 Highway MPG and 27 City MPG! Carfax One-Owner Vehicle. 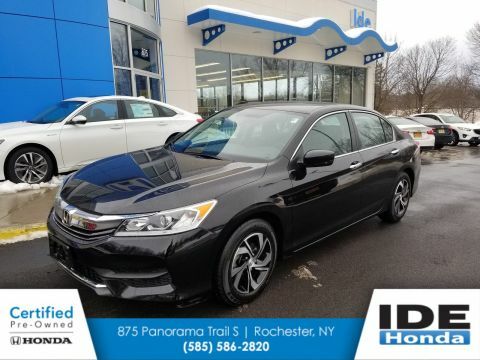 Honda Certified Pre-Owned. Dealer Certified Pre-Owned. This Honda Accord Sedan boasts a Regular Unleaded I-4 2.4 L/144 engine powering this Variable transmission. Window Grid Antenna, Wheels: 16 Alloy, VSA Electronic Stability Control (ESC). 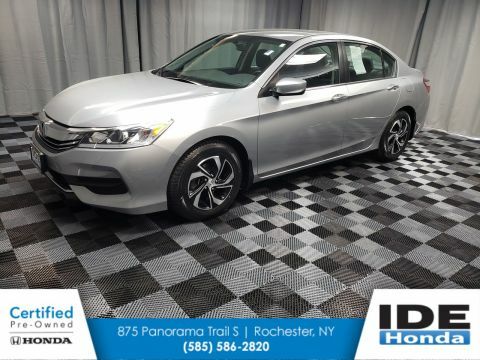 * This Honda Accord Sedan Features the Following Options *Valet Function, Trunk Rear Cargo Access, Trip computer, Transmission: Continuously Variable w/Sport Mode, Tires: P205/65R16 95H AS, Systems Monitor, Strut Front Suspension w/Coil Springs, Steel Spare Wheel, Speed Sensitive Variable Intermittent Wipers, Single Stainless Steel Exhaust w/Chrome Tailpipe Finisher. * Feel Confident About Your Choice *According to Carfax's history report: Carfax One-Owner Vehicle, No Damage Reported, No Accidents Reported, 12 Service Records. * The Votes are Counted *ALG Residual Value Awards, KBB.com Brand Image Awards. 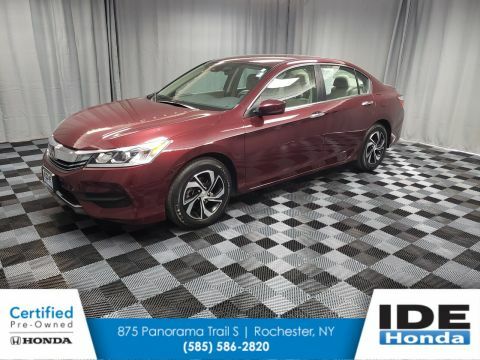 * Check Out These Manufacturer Incentives*As reported by the Manufacturer: Powertrain Limited Warranty: 84 Month/100,000 Mile (whichever comes first) from original in-service date, Roadside Assistance with Honda Care purchase, Warranty Deductible: $0, Transferable Warranty, Limited Warranty: 12 Month/12,000 Mile (whichever comes first) after new car warranty expires or from certified purchase date. 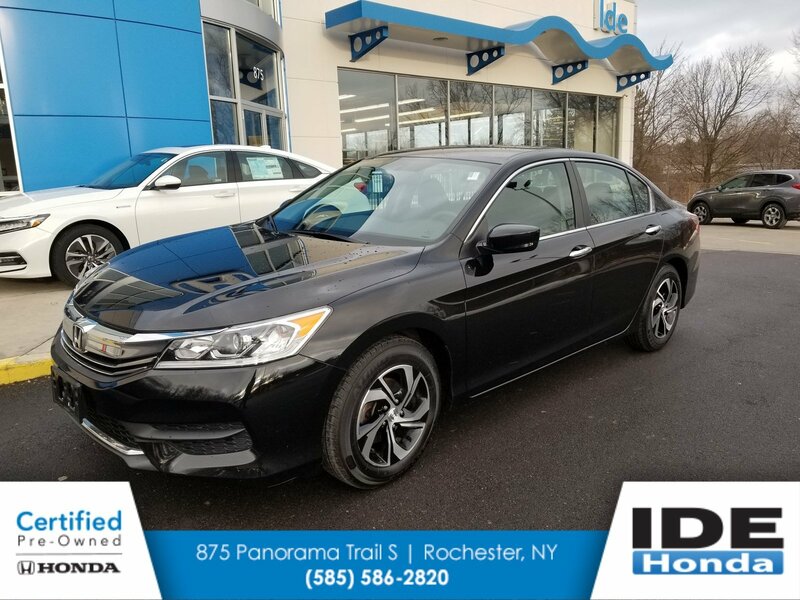 * Stop By Today *For a must-own Honda Accord Sedan come see us at Ide Honda, 875 Panorama Trail South, Rochester, NY 14625. Just minutes away!